I'M HEADED TO Macomb in a bit to help Emily with her American Pop Music class. Yup. Western Illinois University, beware! Gold Lame Elvis is on his way! Emily wants me to play a couple of Elvis songs and talk about his impact on music. I've been reading up on him and it's exhaustive - there is so much to talk about, and to tell these young people. 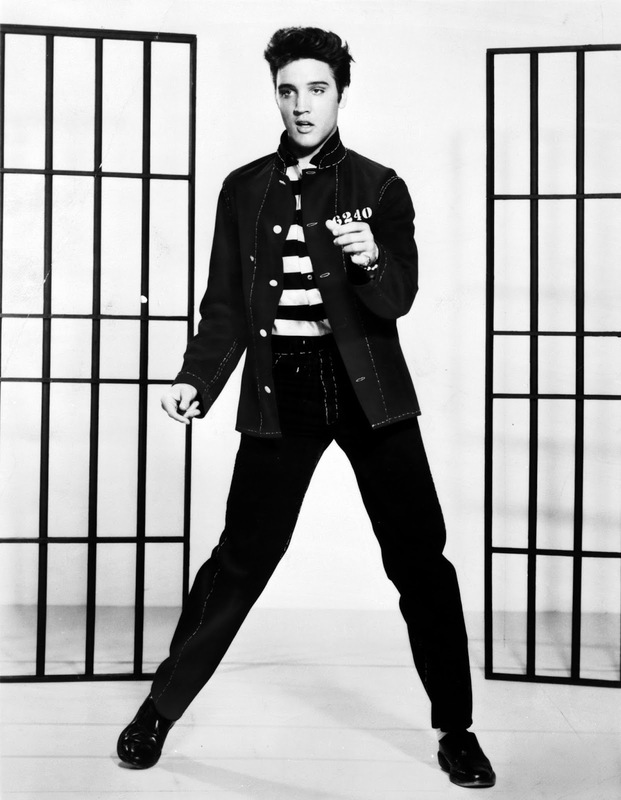 The music they love today wouldn't be around if Elvis didn't make an impact more than 60 years ago. This morning I was watching a news show and they had a feature on a singer and songwriter named Michael Posner. I've never heard of him. I would have to listen a little bit more to be fair, but his music just doesn't appeal to me. I did like the fact that he got famous, then dropped out for a bit and decided to learn how to play the piano and the guitar. He was hearing too much "candy bar" approaches to music and wanted something more substantial. Apparently this guy is all the rage. Why haven't I heard of of him? Well, I don't listen to Top 40 music, and I think much of the stuff out there today is crap. His music is fine, it just doesn't appeal to me. 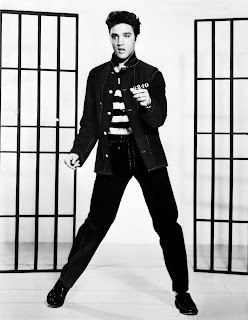 Then again, a lot of people thought the same of Elvis in the mid 1950s. I just hope Emily's students gain a little appreciation and insight into music, culture and how Elvis impacted the world when it came to entertainment. And maybe embarrass my daughter, just a hair.